High School Registration starting April 6th. See information below. Go to Snack Shack for registration forms and please arrive 15 minutes early to fill out the forms. Registration fee is $150.00 ($20.00 discount for sister). 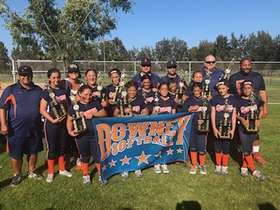 $100.00 If you played spring ball 2019 with Downey Ponytail (14U Only) and must be mentioned at the time of registering with team and coach name. Open to all ages 14-19 (ages as of January 1, 2019). 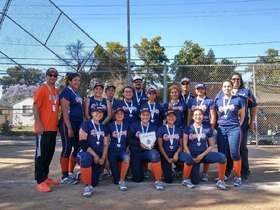 Congratulations to our 16u 2018 XFactor Allstars for taking 2nd Place at the LA South Bay District Tournament. States bound to do more Work! Keep it going ladies...Bring it on and represent Downey!! 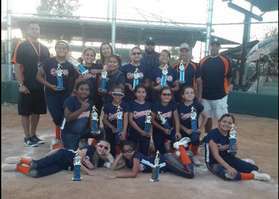 Congratulations to our 10u Gold Allstars for taking 3rd Place at the LA South Bay District Tournament. We are so very Proud of you. Keep working Hard girls. States Bound. 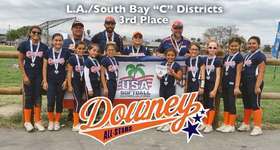 Congratulations to our 8u Allstars for taking 4th Place in the LA/South Bay District Tournament. Great job girls. Keep it going at the States Championship play in Lancaster! Congratulations to our 10u Bronze team for taking 3rd place in the C District Tournament qualifying for C State Tournament. Great job girls! We are so proud of you! 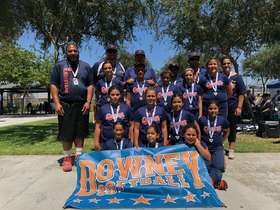 Let's keep it going Downey Allstars!! 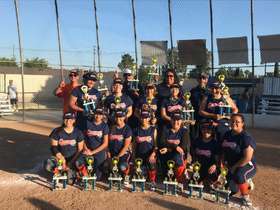 Congratulations once again to our Champion 16u High School Allstar Team for going Undefeated taking 1st Place in the La Habra 2018 Allstar Tournament. It was a Great weekend of Softball for these young ladies. Keep working hard ladies. 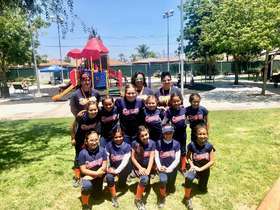 Congratulations to our 10u Silver team Champions for going Undefeated in Pico Rivera's 2018 Allstar tournament. Great Job ladies! Keep it going. 10u Gold AllStars 2018 2nd Place Winners at the Fountain Valley Tournament. Great job girls! Congratulations to our 6u AllStar Champions for taking 1st Place in the West Covina Memorial weekend Tournament. Great Job girls!! We NEED you! Remember the board is made up of parent volunteers. Show your support in our league and join us. Show your daughter how to be a leader/team player! Please pick up your trash. 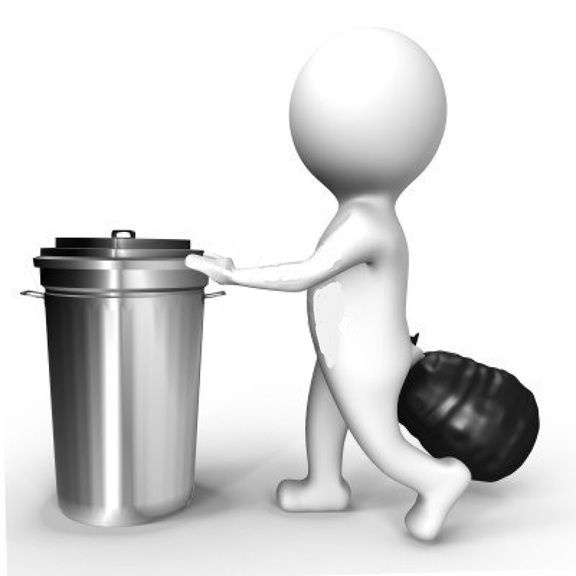 Be sure that the stands and dugouts are clear of all trash before you leave the area. Failure to do so could lead to a forfeit of your next game. Take pride in your park. GATE BY FIELD 4 is Closed until further notice!! Saturdays from 7am until 5pm...During the Spring Season. PLEASE be sure the area is FREE from trash when you leave! This Parking lot is the authority of LA County Schools and is a PRIVILEGE that can be taken away. 3rd Wednesday of each month @ 7:30 p. m.
This meeting is open to all members of Downey Ponytail. Each team manager and coach should be in attendance - this includes all divisions and All Stars.